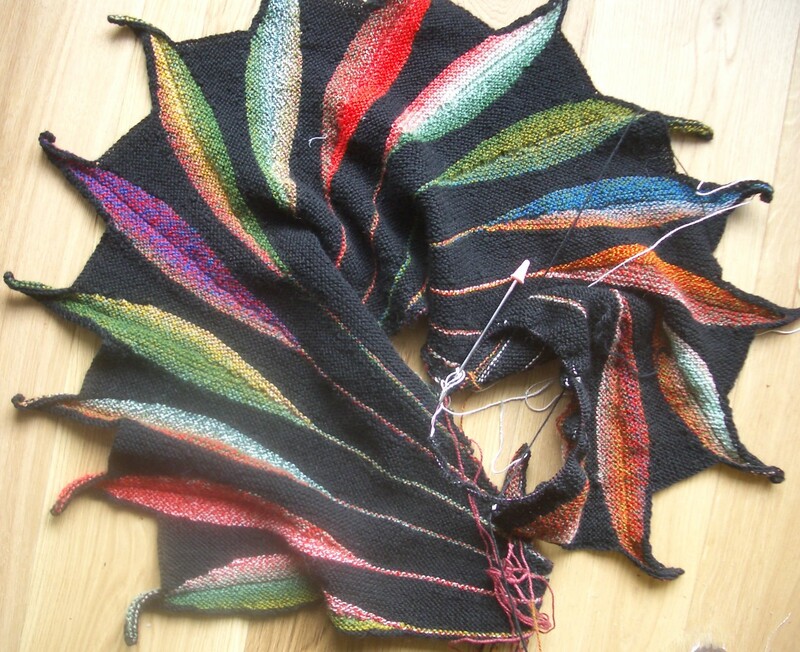 I have my nose to the knitting grindstone at the moment, trying to get my Dreambird shawl finished in time for the Christmas party season. I am now 15 feathers in, with probably 5, maximum 6, to go. I plan to have it done by the end of next week. I just need to avoid making any mistakes that involve ripping out a whole feather back to the last lifeline. To tell the truth, I’m becoming very bored with this project. Repeating the same 70 rows twenty-odd times is a chore that is only slightly alleviated by watching the different colours appear. 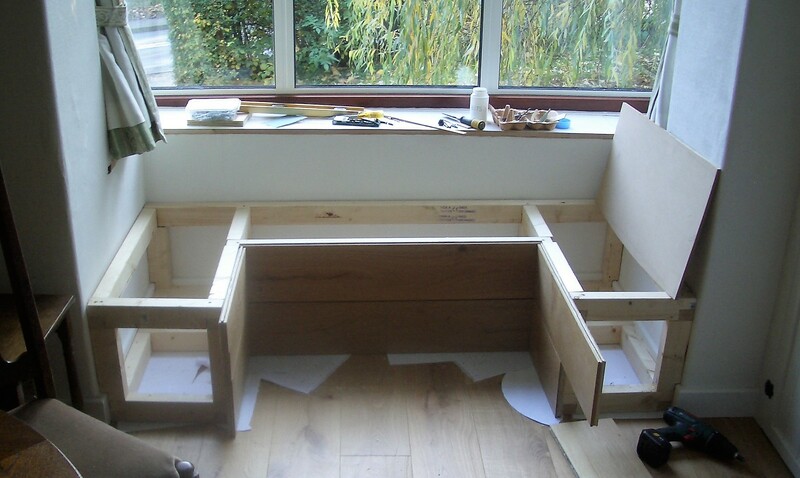 While I am devoting all spare moments to Dreambird, my dear husband has been making a window seat. We had to buy the timber needed to make the internal framework, but everything else was left over from the new oak floor. Even the MDF “lids” on top of the storage spaces were cut from the template our joiner used to shape the piece of solid oak that forms the top step in the split-level floor. Here are the before, during and after photos. Yes, it does look skew, but I can assure you that both the floor and the seat itself are perfectly horizontal. The trouble is that this old house has virtually no right angles in it, it’s the window itself that’s on the slant. 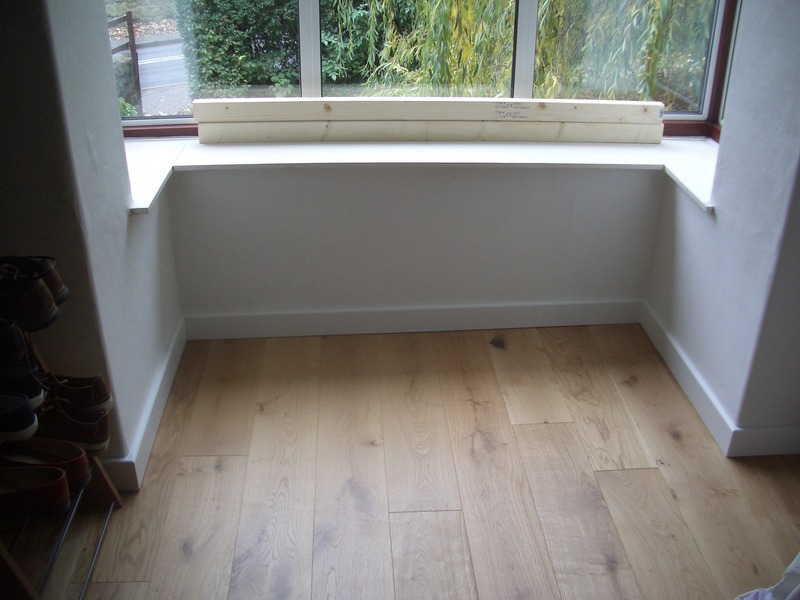 When the window seat is in use we’ll disguise the fact that it isn’t parallel to the windowcill by placing a few scatter cushions along the back. All that’s left to do now is make seat cushions to go on top of the MDF panels. I’m not in any great hurry, because I don’t imagine that anyone is going to want to sit in a bay window in the depths of winter. Next spring and summer it will come into its own though, because the window faces due south and has a view over the lawn and flower beds. I have ordered some cut-to-size foam and made a visit to Bond’s for piping cord and long zips, but I still need to find the right fabric. That will have to wait until the Dreambird marathon is over. 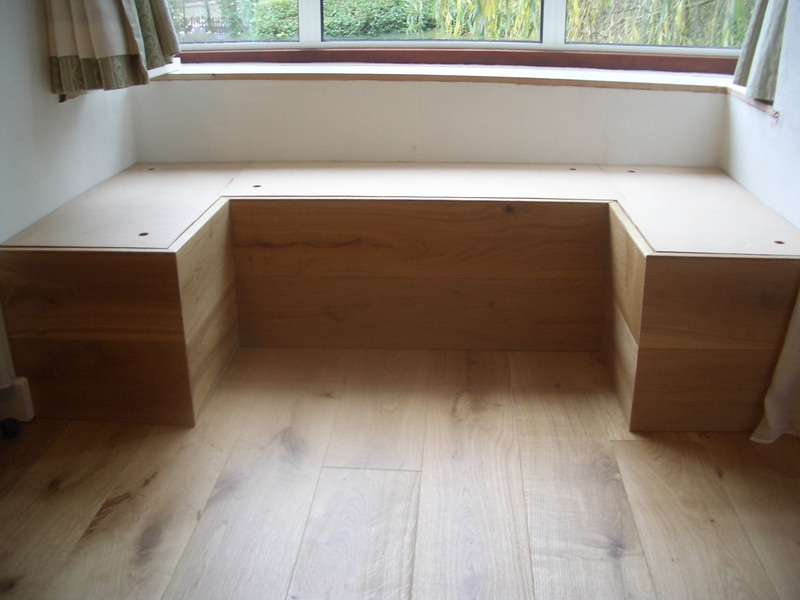 This entry was posted in DIY, knitting, woodwork and tagged Dreambird, window seat. Bookmark the permalink.